Workshop ...please see details on poster. 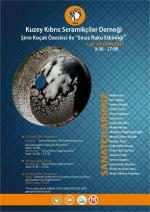 I will be going on Thursday and/or Friday afternoon and see the exhibition on Satusday 14. The university is in Kyrenia Girne-Karakum, you'll find a map on Internet.